Irony warning: people not familiar with irony, sarcasm or backhanded humor are advised to stop reading……. now. The postmortem of the CTU strike is being handled by people far more capable than I. It would not add to the conversation for me to share my thoughts on the matter at this point. Instead, I would like to thank the modern crop of education reformers for lifting a major psychological burden off my shoulders. I attended public school from kindergarten all the way up to the graduate level. My mother enrolled me in the best elementary school allowed by law. I was five years old and my brain was an empty vessel to be filled with knowledge by my teachers. They did a great job for, by the time I was in 4th grade, I was already being tracked into the gifted classes. Sure, my mother ensured I did all of my homework, even as she worked 12 hours a day to keep a roof over my head. She came home, cooked dinner, helped me study for the next day’s exams and, oftentimes, went out to work a second job when things were tight. But, as we know thanks to leading-edge research such as the Gold Standard Study, it was my teachers who got an empty kindergarten brain up to the gifted level by 4th grade. Things went like that for a few more years. My mother was a constant presence in my education: checking my homework, coming to every parent-teacher conference, bringing every book she could find into the house for me to read and letting me know that I was going to college after high school. My job was to go to school. Her job was to provide. Yet, there comes a time when every parent has to remove the training wheels, so to speak, and have faith their child will do the right thing on their own. For me, that time came in the 8th grade. My mother gave me the independence to do my own homework and keep track of my own schooling. I repaid her trust by taking up smoking in the schoolyard, cutting class and getting into fights. My grades took a dip during the 8th grade. I have always blamed myself for this, but the reformers have taught me that it was my teachers’ fault. See, my math teacher was old. My gym teacher was mean. 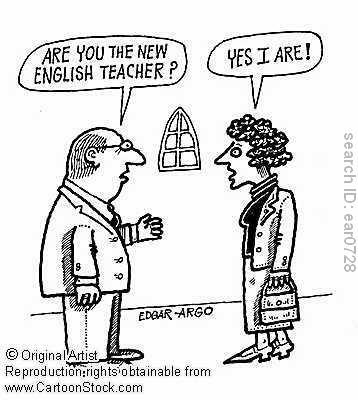 My English teacher was a dunce. My history teacher was too lenient. It was they who did not add value to my schooling. Sure, I may have cut a class or 40 that year, but none of that should matter. A truly great teacher, one that adds value, can overcome all of that by cramming all the learning that I needed into my brain on the days I was there. Of course I did not do homework or raise my hand much other than to ask to go to the bathroom. It was their fault for giving me homework and letting me use the bathroom in the first place. I was a poor, inner-city child and I needed a great teacher to reach me, to go that extra mile and say to me “You are great. Everything you do is wonderful.” They did not do that. They merely taught. Luckily, I was still skilled enough to fill in the right bubbles during test time. I scored high enough to be enrolled in the Bronx High School of Science. Science was a very long way from where I lived. My mother would just have to assume, once again, that I was going to do the right thing once I got there. Bronx Science has produced Nobel Prize winners and world leaders. It is such a shame that a school with a reputation like that had so few teachers that added value to me. I remember French class. I use the word “class” in the true singular form, since I only went to one the entire year. After my first day, I decided the teacher was not going to add any value to me and spent the period playing spades in the cafeteria instead. She had the nerve to fail me every marking period. I never failed French all throughout junior high school and now this non-value-adding French woman from Nice had the nerve to fail me. Out of all my teachers, she took the most value out of my learning. The proof is in the grades. If she was a great teacher, the one our struggling students deserve, she would have left the classroom every day and come to the cafeteria to give me the lesson personally. Instead, she just stayed in her classroom speaking fluent French to 30 students. What about me? Where is the accountability for her? I may or may have not been to some other classes. I had an old teacher, a young teacher, a cool teacher, one that taught some subject about some books and probably gym. They all failed me. All of my report cards from Bronx Science had 50s all the way the down. Tell me, did any of these teachers add value? I do remember that I perfected the Sho-Ryu-Ken on the Streetfighter II arcade game as I fed quarter after quarter into the machine in the pizza shop. I remember playing touch football in the front yard all afternoon while my schedule said I was supposed to be in some class somewhere. I remember some girls I might have kissed or tried to kiss in the handball courts, encouraging them to cut class so I could ogle them for another period. Oh, and I remember all the fights. Lots and lots of fights. I was an angry kid and everyone was against me. Some counselor somewhere said I had anger issues and needed therapy. What did she know? She was a union worker and only counting down the years to collect her big fat pension off the taxes me and my mother paid. What a fat cat. Where were my teachers? Certainly, they took no accountability for my education. Here I was, the star of my middle school being failed by a bunch of stuffy high school teachers who thought they knew everything. You would think that one of them, just one, would have come to my house one evening and taught me all the stuff I had missed when I was absent. None of them put any work into my schooling. None of them cared. There I was, a great mind in a supposedly great school, and getting no knowledge at all. If this was supposedly one of the best schools in the nation, I never saw it. An effective school is so efficient at producing knowledge widgets that they overflow out of the classroom windows, under the doors, down the stairs, into the cafeteria, the schoolyard, everywhere. You would think I would be tripping over knowledge widgets everywhere at Bronx Science so that there would be no need to sit in a classroom. Yet, there I was, playing football, kissing girls and getting punched in my face and not one measly morsel of knowledge filtered in to my eager, low-income brain. Oh, but you did not even go to class, you say. You took no accountability for yourself, you say. You cannot expect teachers to teach you when you are not there to be taught, you say. Those are all excuses! That is the problem with teachers today: they blame the kids. Answer me this: if they were such great teachers, how come I failed? Numbers do not lie. My teachers failed me. They did not believe in me, or even know I existed. The only reason for this is that they were all part of the union. All of them were ineffective and all of them were riding their tenure until they could retire out on a golden parachute. If they had merit pay, I bet you they would have chased me down and taught me something then. If they did not have tenure, they would have ensured that I passed, even if I never showed up in class at all. Then, one day in March after being part of a rumble where I fought around 20 juniors and ended up spitting up teeth, the brain trust that ran Bronx Science had the nerve to counsel me out of the school. They said I did not fit in, was not succeeding and needed another environment. They had the nerve to blame me for my failure. I gave them their wish. If they had the nerve to try to hold me accountable for my own actions, instead of keeping their lazy union teachers in line, then I did not want them. It was not the school for me. So I transferred to my neighborhood school. At least there might be some teachers who actually cared about my education. Unfortunately, this was not the case. I even showed up to class every day, mostly, and they had the nerve to give me a GPA of 65 by the end of the year. There I was, a Science student gracing the halls of their crappy school, and they had the nerve to not add any value to me either. I mean, come on, I was in class. I was gifted. In the end, I learned nothing. They wanted me to do projects and stuff, but those were stupid and I just discovered that I could buy rap albums on the street for five dollars. I also discovered that I could buy a 40-ounce at the corner store for $1.50. These were the things I was interested in. There was no time for me to do projects or homework when trying to memorize the lyrics to “Psycho” by Lords of the Underground. It was really tough to pay attention in class too, especially on the days I showed up intoxicated. You would think my teachers would have taken all of this into account. If they really cared, they would have differentiated their instruction. They could have tailored their lessons for today’s intoxicated minor and given me projects about Naughty by Nature, instead of useless garbage like Shakespeare and World War II. But no, these teacher union fat cats kept detracting value from my education, going “blah, blah, blah” while the room spun around and around. They could not even keep the room still so I could sleep off my drunk! I learned that day that bad teachers were all over the city. It did not matter if it was Bronx Science or some school somewhere I was too intoxicated to remember the name of. Because they were all incompetent, I did not learn anything and I became an at-risk youth. They failed me and the union protected them every step of the way. By the end of the 9th grade, I had been to two different high schools and seen so many horrible teachers. I decided to take the test again to get back into Bronx Science or, hopefully, Stuyvesant. Instead, I made it into Brooklyn Tech. Do you see what happened? In 8th grade, I scored high enough to make it into the 2nd best school in the city and in 9th grade I only scored enough for 3rd best. That is called, say it with me, negative value added. All of my teachers from both of my high schools should have been fired, since I went from being an angel to being “at-risk”. I was a poor, inner-city child suffering with horrible teachers protected by their powerful unions. Where was Superman for me? Where was Michelle Rhee? I used to blame myself for my 9th grade horror story, but the reformers have taught me that it was my teachers who turned me into that. I ended up going to Brooklyn Tech. I realized that I should wait until at least 18 until I take up drinking again and that not all girls like a guy who plays touch football and Streetfighter II all day. So, I did some homework, met some good friends, went to class and never got into another fight again. My GPA raised from a 65 in 9th grade to a 75 by senior year. The teachers at Brooklyn Tech added 10 value points to me. That is not enough. They should have been fired anyway. I had the potential to reach 100 but their incompetence held me back. My first year in college, I failed one class. The teacher had a German accent and I could not understand him. He failed me. After my first semester, I had an epiphany. I said to myself, “I am just going to focus on learning and doing all of my assignments”. I buckled down, kept up with reading, did extra credit assignments and worked, worked , worked. I made Dean’s List every semester after that and graduated with honors. My graduate courses were the same, graduating with a 3.8 GPA. Only one lesson can be deduced from my scholastic career: great teachers make all the difference. Poverty is an excuse for failing teachers. All children can be successful if their teachers care enough. Whatever problems a student has outside of class has no bearing on their ability to learn inside of class. Teachers should be held accountable for their students’ performance. Students and parents should not be blamed at all, nor have any type of accountability for a child’s schooling. Grades are always an accurate reflection of a teacher’s worth. All learning can be quantified in numbers. Unions protect bad teachers. The reformers are Gods among mortals and will save the education system by destroying it. This entry was posted in An Embattled Career, education reform, School, teaching and tagged education, Humor, Memories, Sarcasm, School, Value-Added Education Data, Youth. Bookmark the permalink. Commas are a problem. She did try. my eighth grade math teacher ruined my interest in math for me by giving large assignments on stuff I swear he didn’t teach and I was there almost everyday. He has a little sign that says “no more school budget cuts.” That’s B.S. he should’ve been cut out. HAHA that was funny, thank you for all the fallacies for my paper. Seriously people. I just want to point out that I had a teacher with a very thick Nigerian accent and he was the best teacher I ever had. I could not pass this certain math class and when I took his I aced it! Teachers are not responsible for your education YOU ARE. If your having trouble get help! If you need more guidance, GET HELP. Ask questions. They have lots of students and if you are struggling YOU need to find assistance. Stop blaming everyone else! If your so smart educate yourself lol. Read a book, do some research online, find tutors, ask for assistance. There are plenty ways to get by a teachers accent. Everyone at some point struggles with things and it is solely YOUR responsibility to work though that to accommodate your personal learning needs if you have them. A class failure is no ones fault but your own. Why do must people blame it on everything else. Wow I wish I could just sit around and blame downfalls of my education on everyone. Okay actually I don’t need to do that because im too busy thinking critically and working my way through problems which is what you should be doing in every day life not just in school. To be honest, with your French teacher, you can’t expect her to go teach you lessons everyday in the cafeteria just because you didn’t bother to go to her class. She has students other than yourself and can’t take the time to go teach someone who doesn’t go to class. Also, when you had the epiphany to do your assignments, you started getting good grades because you decided to start learning and do your assignments. Sometimes it’s not the teachers but the student. I hated Brooklyn Tech. I’ve been out of that hell-hole nearly thirty five years and I still have nothing but bad memories of the place. As much as I loved college, grad school, & law school, my lifelong dream is to see Brooklyn Tech burned to the ground.